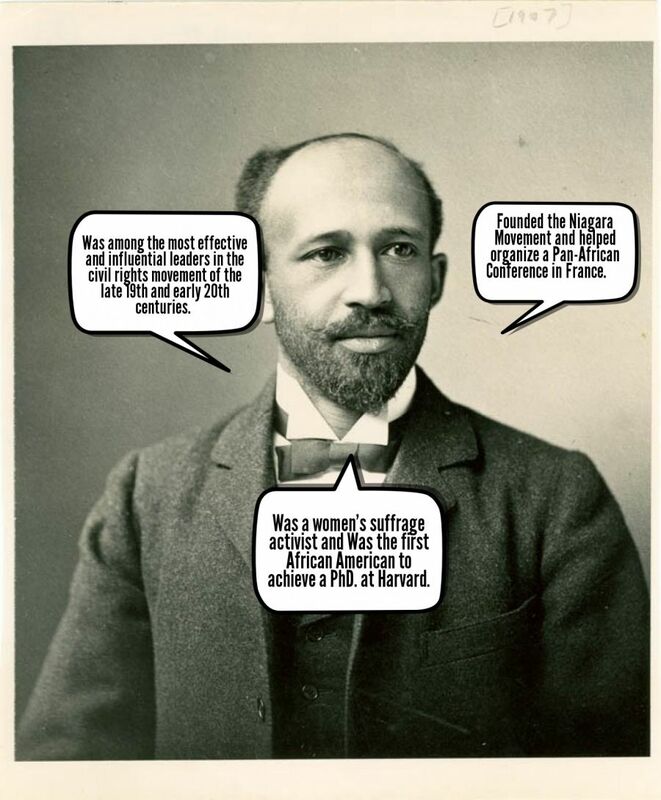 Founded the Niagara Movement and helped organize a Pan-African Conference in France. Was a women’s suffrage activist and Was the first African American to achieve a PhD. at Harvard.